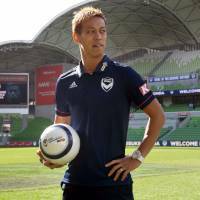 MELBOURNE, AUSTRALIA - Former Japan international Keisuke Honda said Wednesday the offer to play for Australian soccer team Melbourne Victory kept him from retiring from the sport. Speaking for the first time from the headquarters of his new club, Honda said a conversation with his now-coach Kevin Muscat inspired him to continue playing. “I’m 32 years old. I was thinking to quit my career after the World Cup, but luckily this club gave me the great offer that changed my career,” the former AC Milan player said. 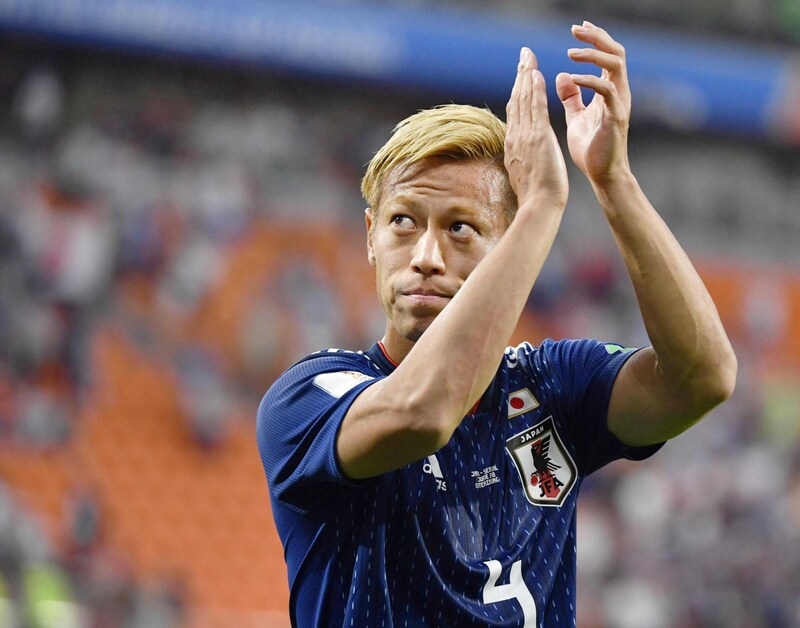 Victory announced Honda, who played for Mexican side Pachuca last season, as their new marquee player last week in a deal said to be worth 2.9 million Australian dollars ($2.1 million). Days later, Honda also revealed he would serve as the new general manager of Cambodia’s national team. Despite some concerns that Honda’s Cambodian position could be in breach of Asian Football Confederation statutes regarding conflicts of interest, both Honda and Muscat insisted it would not be an issue. “(Honda) will be in no way compromising our games and training sessions,” Muscat said, noting that Honda’s management team had been upfront about his plans to work with Cambodia throughout their negotiations. Honda said he was aware of the pressure he had brought upon himself by taking on extra responsibilities, but said he would prioritize his Melbourne teammates. Having arrived in Melbourne on Tuesday, there are still a number of issues to be finalized, including when Honda’s debut game will be and what position he will play in the new team. 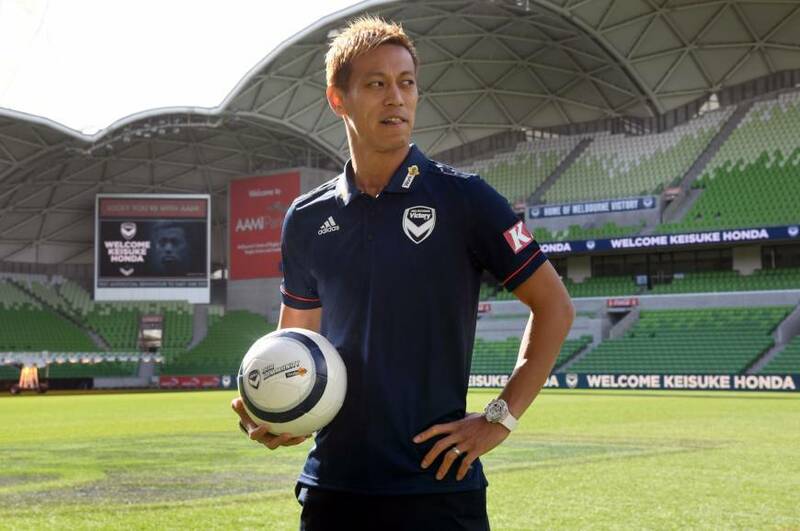 The 2018-2019 A-League season will begin in October, but in the meantime Honda says he is looking forward to learning Australian English and getting back on the pitch. “No matter what the game is, I’m here to win a trophy as a team,” he said.